1. What is an editorial letter? Today, I am so excited to have my critique partner and associate editor at Entangled Publishing, Kate Fall, here today to talk to us about the editorial letter from an editor’s perspective. I’d love to hear about your process in writing your editorial letter. Basically, before I write an editorial letter, I read through the manuscript and annotate it as I go. Sometimes I find myself writing a really large comment and think, hm, that’s better off explained in a letter. When I’m done with the whole novel, I think about it for a while, usually a day so while the manuscript is still fresh in my mind but I have something coherent to say. What would one of your writers expect from your editorial letters? My letters are about 5 pages long. It’s not a rule, it’s just what seems to happen. I don’t have a set breakdown of character, voice, setting, etc. that I address. Every novel is so different. But I find that I usually have to address telling vs. showing. I think this is normal. I think it takes a lot of drafts to dig the telling out of a manuscript. But different authors tell different things. Some people tell emotion, like “he was sad.” Some people tell characterization, like “she was a loyal friend.” And some people tell plot connections, like “that was in the letter he read yesterday.” So showing vs. telling isn’t a boilerplate response. Writing an editorial letter must be difficult. What is the hardest part about writing it? The hardest part about writing an editorial letter is worrying about how the author will receive it, especially if the manuscript needs a time-consuming revision. In the end, it’s not my name on the cover and it’s not about me. But I really, really want my authors to get five star reviews. On the other hand, I don’t want to change their stories or imply that I don’t like their voices. I angst over it a lot. My job is mostly delivering bad news, and some authors take it better than others. But it is my job to communicate it well, so if the author feels bad, I’m doing something wrong. 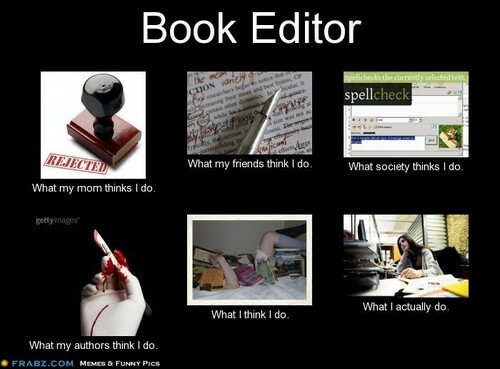 What frustrations do you encounter as an editor during this publishing process? I’ve worked with a lot of awesome authors! I don’t mind being questioned or having my suggestions pushed back. It actually makes me nervous when people seem to accept everything I say. Like, really? I was totally perfect and understood everything and my opinion will be shared by everyone? It’s very hard to walk the line between what bothers me and what readers will like. I just hope my authors know I’m trying my best to think like a reader and get them those glowing reviews and fans clamoring for the sequel. Tell us about some of the books that you have been working on and what we have to look forward to. I have some fantastic books in the works, and I don’t want to leave any out. 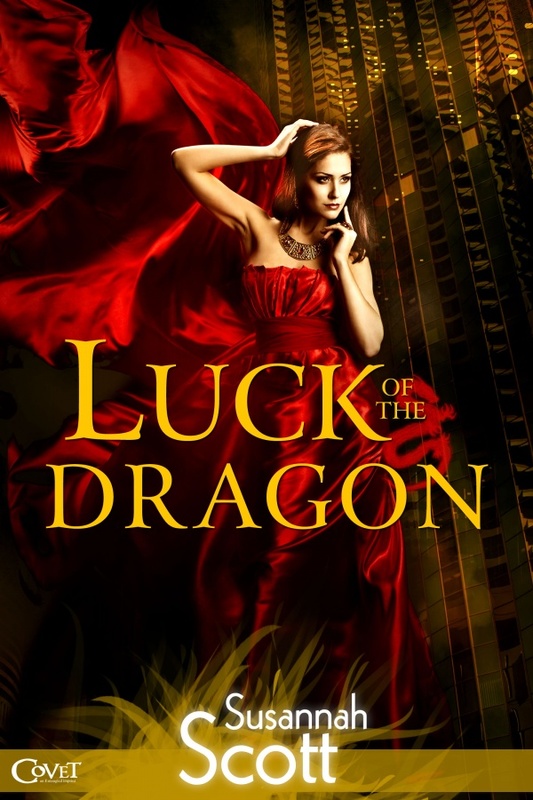 LUCK OF THE DRAGON by Susannah Scott just released from Entangled Covet, and that novel is a lot of fun, a great read. I’m so excited for her reviews and sales. Her hard work paid off. Kate Fall is an editor with Entangled Publishing. She previously interned at Rhemalda Publishing, is a member of SCWBI, and has been writing and editing professionally for 14 years. She loves novels with humor, settings that come to life (whether historical, contemporary, or futuristic), and main characters with what the Irish call “a good person’s faults.” She is especially looking for sweet romance for any age group with a well-rounded cast of characters, a love interest down on his luck, unusual American town life, or a unique twist on a time-honored plot. Follow Kate on Twitter at @KateFall. I think I kind of know how Kate feels. I’m not anywhere near being an editor, but sometimes when I critique someone’s story I wonder about how the author will take my comments/suggestions. You want to be honest, but you don’t want to cause hurt feelings. Great interview! It makes sense that telling vs. showing is a common edit needed, since so many writers struggle with that. It’s tough! I agree with Bish – when I critique, I have that same mindset where I want to help the author polish their manuscript as best they can, but don’t want to change their story or take the essence out of it. That is a tricky thing. To keep that author’s voice yet still improving the story. Very nice to get an editor’s perspective. I recall my editor saying in her second letter that I will be easy to work with because of my reaction to her first editorial letter. Actually, she used the sandwich method, and I, after taking a deep breath and letting hers sit for a bit, used the same method in my reply. Remember to disarm defensive instincts this way, so the work with an editor is productive. You both want the book to be good. I love your line “You both want the book to be good.” How true that is! Thanks for your insights. Great interview! Thanks so much for sharing it!!! Wonderful interview! It’s nice to get an editor’s perspective. Thanks everyone! And thanks Christy for the interview. We really do want not just your novel to be better, but all your future novels. When an author hits a revision out of the park, it’s such a wonderful feeling. Like, wow, I want to work on ALL of this person’s books! Thank you so much Kate for all of your thoughts and advice. It’s been really great to see this process in this new way. Not that I want anyone to feel angst…but it means a lot that you care so much. I loved hearing Kate’s perspective. Thank you Christina! I’m always interested in hearing what goes on in every side of publishing. Interesting post.